The Communication Troubleshooter helps businesses perform to their best, through better internal communication practices and personal skills. Many start-ups find communication straightforward when only a handful of people are involved. However, research shows that it is in businesses starting to grow beyond five or six employees, that communication can become lost amongst the pressure of normal daily work, with the risk of employees losing touch of direction and their priorities. Yet the solutions usually don’t take long to diagnose and resolve. 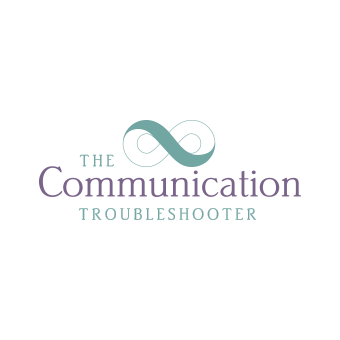 The Communication Troubleshooter is particularly adept at finding the issues in communication across a business or within/between teams and individuals, and putting in structures and skills to resolve these. Often the process will only require one or two sessions (for diagnosis and solution-finding), leaving businesses to implement what is needed on their own, or with our help if necessary. For businesses requiring a general wellbeing communication medical, we facilitate a two to three hour diagnostic session with the team (at whichever team level is required), supported by individual questionnaires, followed by a solution session with action planning. Communication skills aren’t part of the school curriculum. Some of us are blessed with them and many more of us have to learn them. We provide coaching, training and top-ups at all levels, for directors, managers and team members. We also specialise in a professional form of communication, ‘CommPassion Communication’, which takes your skills to the next level. One-to-one coaching for executives and team players wishing to improve specific areas of their communication skills. ‘Highly-effective communicators are five times more likely to be high performers than minimally-effective communicators.’ – 2013 Project Management Institute, Inc. The Essential Role of Communications, May 2013. Teams are often so busy they don’t have the time they need to communicate with each other regularly, let alone work out the best methods to use. The Communication Troubleshooter has a winning formula which helps teams to identify all the blocks to efficient working, from which to then work as a team to remove obstacles and instill best working practices. Teams who have worked with this process have reported heightened efficiency, greater morale, more collaborative teamwork and surpassing performance targets. Research shows that EI plays and incredibly important part in the success of a business, and its individuals. We have tools to both measure and build EI for business. One of the most comprehensive tools is CommPassion Communication – a professional way of communicating with colleagues to ensure clarity, greatly reduce conflict and allow for a more collaborative and efficient way of working. This method also transfers well to life outside work! For times when work relationships are at a stand-off or seem irretrievable, we offer a professional mediation service – a formatted discussion between the individuals with a neutral, third-party mediator. The focus is firmly on moving forward to find a resolution to the situation and a better working relationship. Mediation has a high success rate and saves time, cost and upheaval associated with grievances and tribunals.